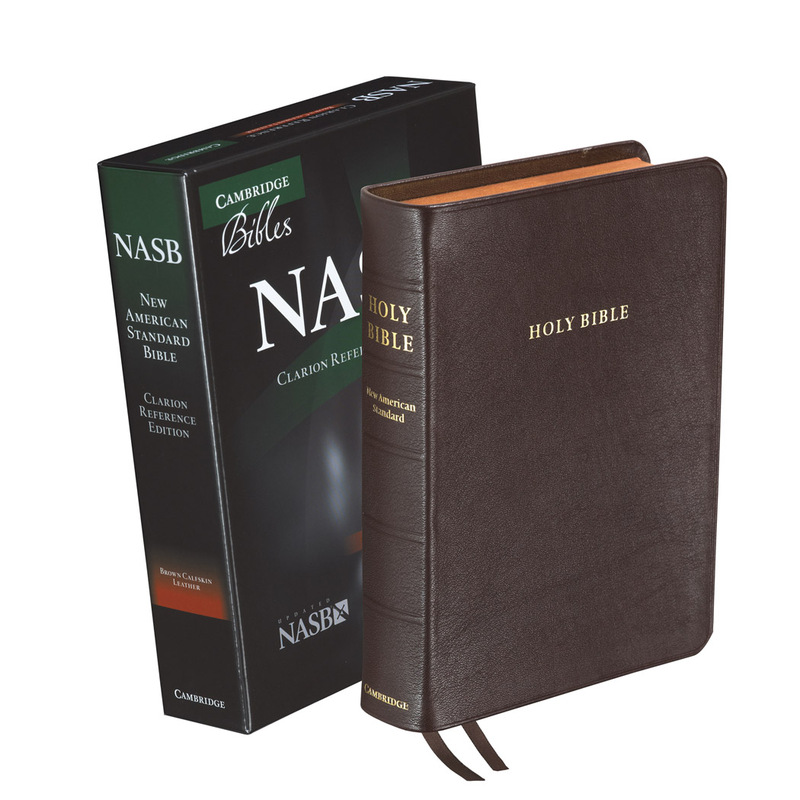 Based on the regular sized Quentel NASB, the Thinline has the same typesetting but is significantly thinner (1.2″). 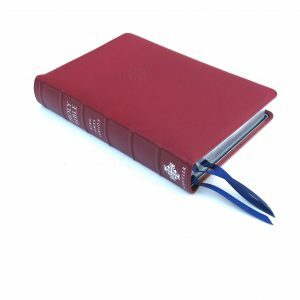 This Bible matches the pagination of the regular sized Quentel and the Personal Size Quentel NASB. 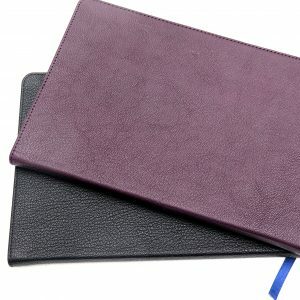 I acquired my dark purple goatskin NASB Thinline Quentel secondhand from someone who (inexplicibly) no longer wanted his. 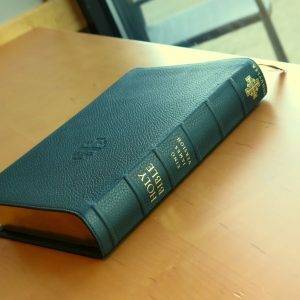 This is a gorgeous Bible. 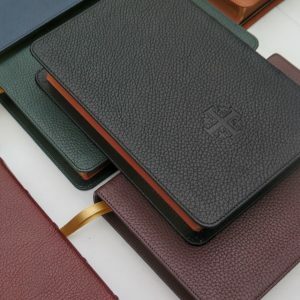 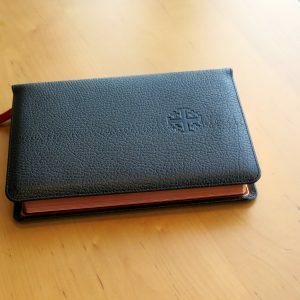 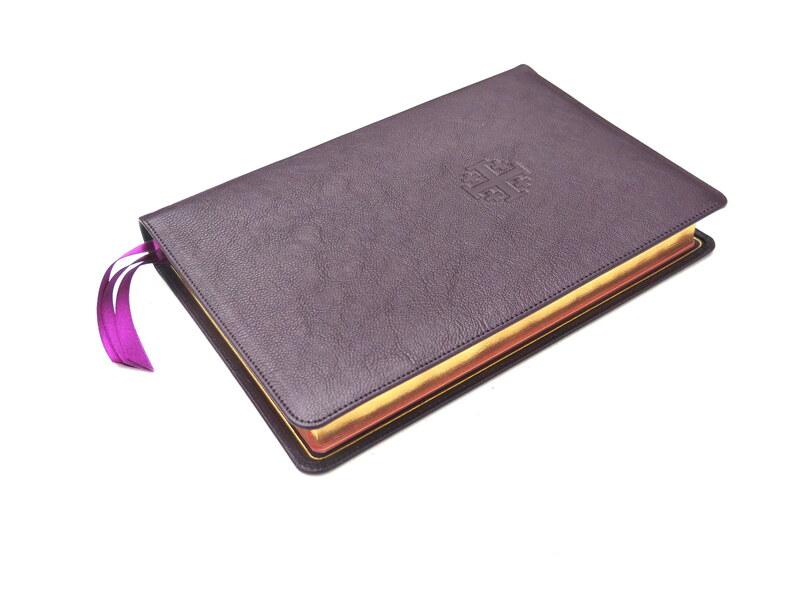 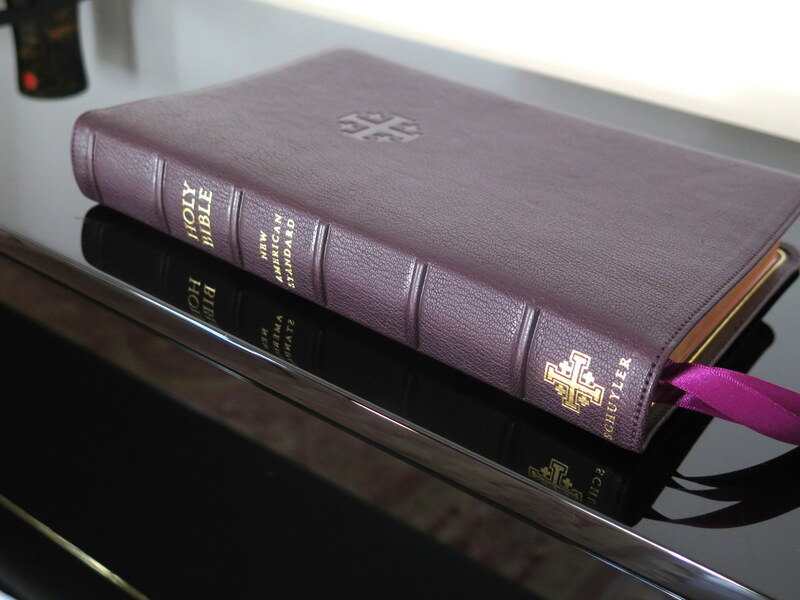 The dark purple goatsking cover and calfskin liner are so soft and flexible that it’s a joy to hold. 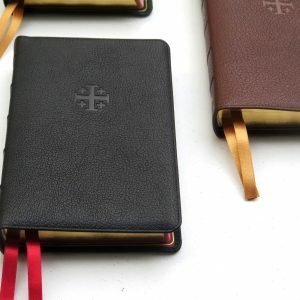 The red art gilt is a little deeper red than I prefer (I like a more salmon-colored art gilt) but that is a very minor issue and not to be considered. 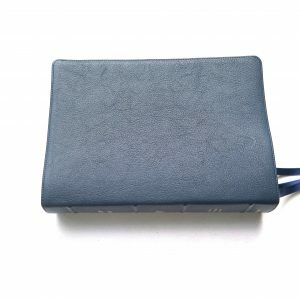 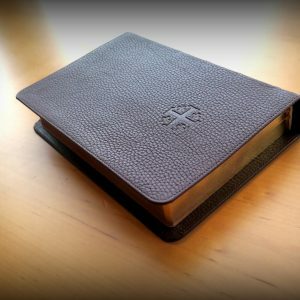 I own a full-size ESV Quentel and this one is easier to hold and handle even though the footprint is identical except for the thickness. 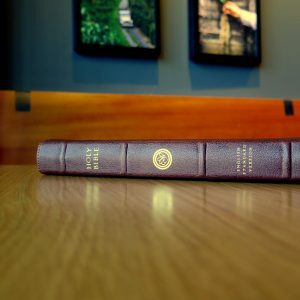 The margins in the text are just wide enough for my margin notes and there are ample note pages in the back for more notes. 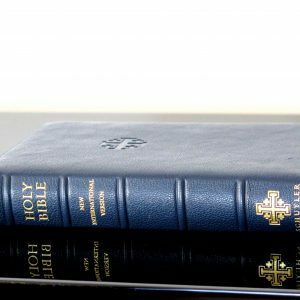 I don’t miss the concordance because I do most of my verse look-ups online anyway. 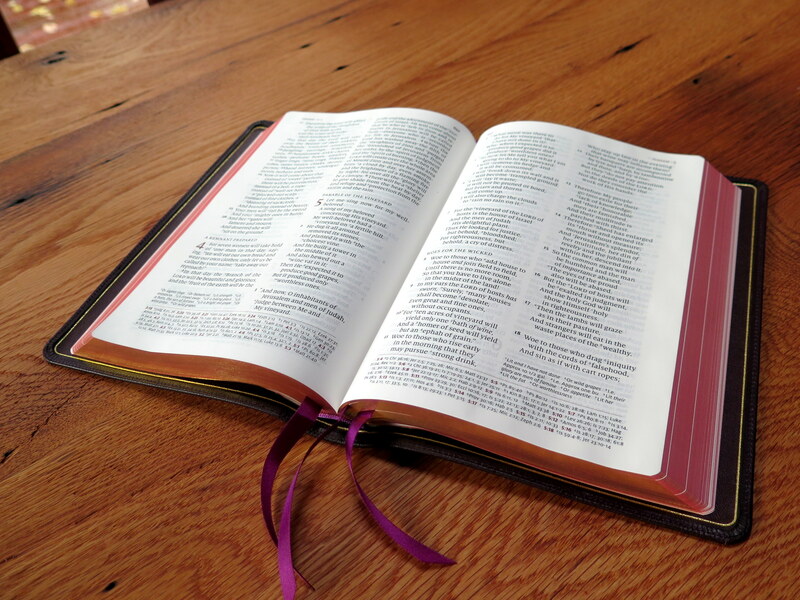 All in all, you can’t beat this full-size Bible for readability and the joy of reading.